If you've recovered from the mayhem of the Nintendo Direct, you may remember that Civilization VI for Nintendo Switch was shown off in its own little segment. 2K and Firaxis Games have now shared the video online, so feel free to check it out above if you missed it. Of course, we actually already knew of the game's existence on Switch thanks to its announcement last week. Presumably, the game would have debuted in the Direct last week, but was ultimately revealed early thanks to the presentation's delay. Is this one of your most wanted titles? Do you plan to build your own empire on the go? Tell us below. So it will have physical edition!? And as I can see there is no download sticker! I hope this is NOT just a placeholder! I have to admit this trailer made me LOL. If the past three Civ games have been known for anything, it's their lush, cinematic intros with amazing CGI showing the rise and fall of human civilization over thousands of years, set to intricate scores provided by virtuoso composer Christopher Tin. But for the Switch? Eh, you get an intro that makes it looks like any F2P clicker game on mobile. Civ 4 was amazing, can't wait to see how this plays on Switch. Day 1 digital. I want this with me always. Man... my poops are about to become much longer in duration. Civ on the Switch is a serious threat to my productivity and my social life. @StormtheFrontier I still maintain that Civ 4 is the epitome of the series, but 6 is also excellent. I really couldn't get into Civ VI on PC but maybe the portability of it will encourage me to give it another go. I've spent over 2000 hours on Civ V but this one didn't really click with me. @PhilKenSebben Actually lol'd. Best comment this could have. I used to be bothered this game was never ported to PS4/Xbone. I used to be bothered COD was never ported to Switch, this is a more than acceptable compromise. However I still don't get why were not getting a localized Nobunaga's Ambition when western publishers are happy to take the risk with releasing strategy games for Switch. This is one of those games I didn't remember I wanted it on the Switch. Definite buy for me. Right at the end of the video... is that local hotseat 4 player Civ?! If it is then im getting some beer in and having a party on November 16th! so...why can't I pre order yet anywhere? Terrible trailer. Hope this turns out well, that it’s physical, and that it is the full game. @DrJiggle Technically, this trailer is CGI. I personally like the cartoonish low-poly style of this trailer. It has a lot of personality. I hope there'll be a demo for this game, my girl might be interrested. I remember Poland being OP in Civ5, is that still the case in 6? I know quite a few people were put off by the art style. While the paper drawn map does look great, the character models are rather doughy or weird looking. 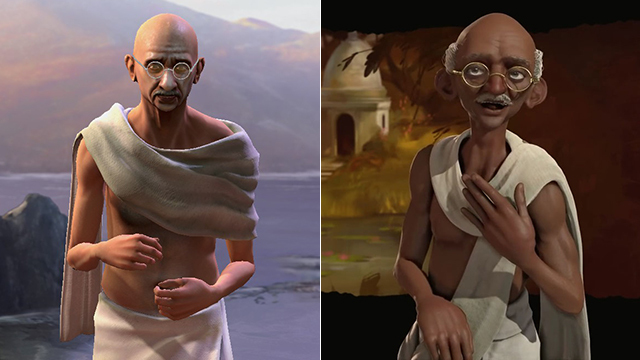 Gandhi is probably the easiest one to compare since he's been in all of them IIRC. Left is V, right is VI. There will be a physical copy available. I am a huge Civ fan and so excited. What sets me up, however, is that this will be the base game incl four civ+scenarios-dlcs only! There won't be any Rise and Fall expansion included (yet). If you got used to the new functionality of the expansion, it is quite a downgrade unfortunately. Does anyone know if there will be a bundled version with the necessary accessories? @SmaggTheSmug They're alright. Good faith game but average in everything else. I have civ 6 on PC so I'm stocked to see it coming to switch, but I need to know how it controls before I take the plunge. It's hard to replicate a mouse. @Bentheblaze2390 Yep, sounds like my homeland. I love the Civ games! Can't wait for this! Most people were introduced to Civilization on the PC but I grew up watching my uncle play it on Super Nintendo. So glad to see the series is back on a Nintendo platform! Day 1 purchase for me. Super interested in the controls for this. Back when I was with 2K, we tested the touchscreen controls for Civ5, and a lot of people thought in the office thought it was the best way to play the game. Worked very naturally. Hoping it is the same for the Switch, but also hope they have a motion control cursor like World of Goo, for example. The precise motion controls allow for it, so I hope it's an option. Gimme those control details! @DarthMarth My god, that didn't even register to me. 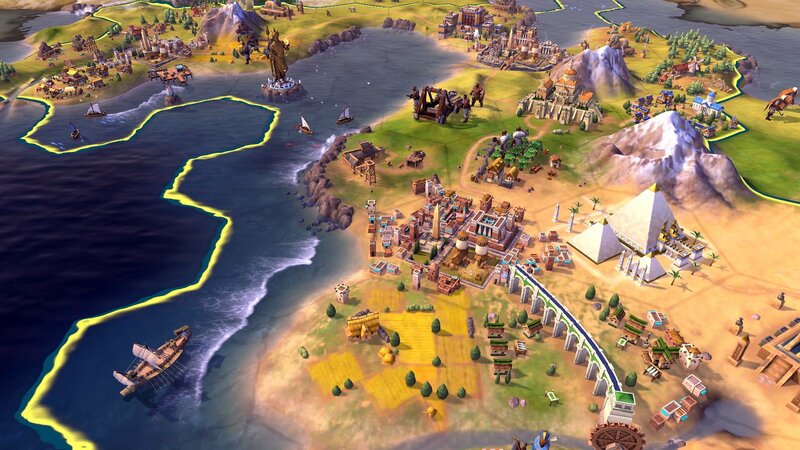 This is a HUGE feature for the Civ series!!! That is brilliant! All you really need is one switch to past around during turns any time, anywhere. This game will consume me completely. @SimplyCinnamon53 Mine does the same, as well as for World of Goo, Little Inferno, & any other game I have that uses motion controls. My TV remote does the same thing. I haven't really cared too much for motion controls since the Wii Motion Plus. I'm constantly having to recalibrate. I never could understand why people raved about the precise motion controls for Skyward Sword. I don't consider motion controls to be precise if every few seconds you have to recalibrate them. @kevin74 I think the Wii was better honestly, since it had the sensor bar it always felt more precise to me. I got a gaming PC just for this game. @KoopaTheGamer Yeah, but it's not amazing CGI, not the way the "real" trailer for Civ VI is. Do a YouTube search on "CIVILIZATION VI Launch Trailer" to see what I mean. And there's no comparison in terms of the music, either. It's just weird that they would choose to promote such an amazing game with such a goofy trailer, especially when a really good trailer — that actually tells a pretty poignant story about a relationship that adapts and evolves as civilization evolves — already exists. The original intro makes me want to play the game. The new Switch intro makes me feel like I'm playing MySims or something. It's a little thing, but weird. @DrJiggle I think that's what happen you you field things out to marketing firms who focus group test things against a demographic. If you sent this to an ad agency and they ask the Nintendo demographic, and you described it and other popular things on Switch, this is the trailer the ad agency might design for you to appeal to that demographic. Your wargame is reduced to something that looks like a feature loop for a new Mozilla product. I would have like to see a Civilization: Revolution 3, but I'll take it. Now please please please have a stable framerate! 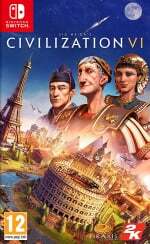 I haven't played Civ 6, I've played Civ 4 and I'm interested in seeing how this one runs on the Switch. @nessisonett I've been playing Civs IV and V on a $90 Windows tablet for years. Civs VI requires a 64 bit OS, so it wouldn't install on my tablet. Portable Civs makes travel much quicker and tap controls are easy to use.